Discover Denver’s burgeoning wine industry with a wine tasting adventure to some of the area’s finest wineries. You'll take your wine knowledge and palate to the next level with unique urban winery estate tours that make dozens of different hand crafted red and white wines. Take a magical tour through Denver's urban wineries, visiting 3 urban wineries. 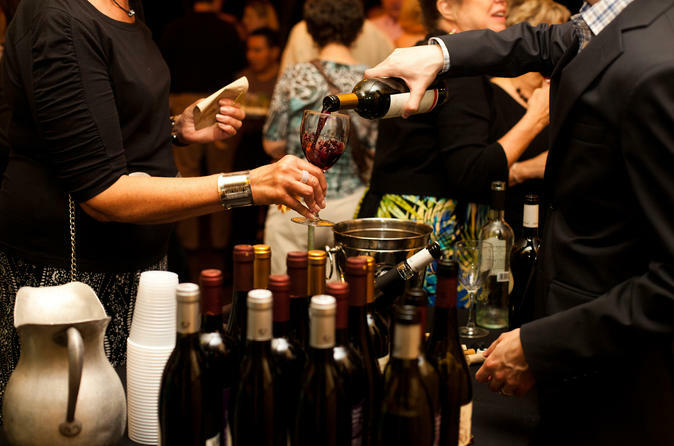 Enjoy a VIP experience as you sample delicious varietals, learning directly from the winery owners and makers about the breadth of wines made locally in the city of Denver. Get picked up by a luxury van and starting the day in style as you travel to the first stop. Throughout the tour, enjoy 3 different wineries, tasting over 30 hand-crafted reds and whites. Begin at Balistreri Winery for a lunch and wine tasting. Enjoy 15 different handcrafted wines, in addition to an a la carte lunch and cellar tour. Next, head to either Deep Roots Winery or Kingman Winery, enjoying 4-5 tastings and light food pairings. From there, end your tour with 5 different tastings and a full glass of wine at Wild Women Winery. As you sip and learn from your experienced guides, learn what makes Colorado an ideal place for wine makers and wineries to practice their craft.